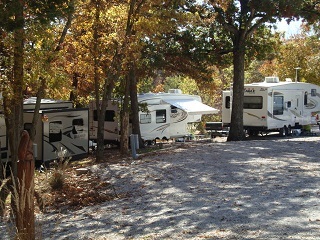 The Jayco RV Company is one of the most recognized brands of recreational vehicles on the road today. 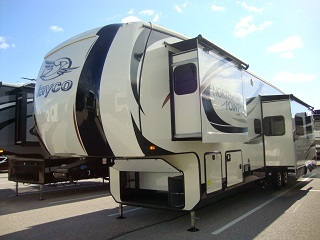 Jayco is the largest family owned - privately held RV manufacturer in the world. 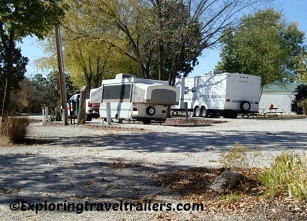 I absolutely love Jayco travel trailers and fifth wheels. In my opinion, they are one of best built units I have seen. Both of my brothers have owned Jaycos. One owned a popup and the other owned an eighteen foot travel trailer. Both units lasted past the twenty year mark, with very few issues. You can still see many older Jayco trailers on the road today. Jayco Incorporated was founded in 1968 by Lloyd Jay Bontrager, an innovative inventor and designer. Lloyd had designed a revolutionary lifting system for pop up campers and this invention was the backbone of the design for his new camper. 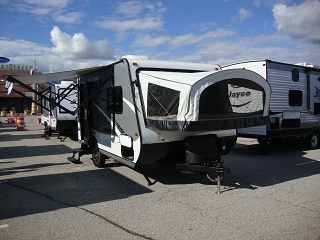 The Jayco name was derived from Lloyd's middle name. Lloyd, and his wife Bertha were committed to have a company where the customers were treated like family. Using the name Jay was their way to cement that commitment. The company was started at the Bontrager farm in Middlebury, IN. Lloyd used one barn and two chicken houses as assembly line buildings for three pop up models. In the first year of production, Jayco had sold 132 trailers and had grown to 15 employees. After one year in business, Jayco outgrew the family farm and moved to a brand new factory nearby. The company showed unprecedented growth, adding a second factory in Kansas the next year. Unfortunately, Lloyd, two of his sons, and a research and development worker were tragically killed in an airplane accident on Easter Sunday of 1985. Before Lloyd's death, a man of deep faith and conviction, expressed his wishes for the direction of the company in a letter to all employees and management. The words of this letter formed a continuing directive that Jayco still follows today. 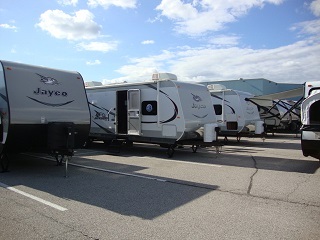 Jayco RV is now the second largest manufacturer of towable travel trailers. 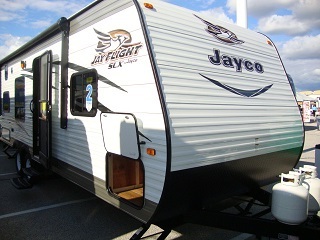 Their Jay flight line has been the number one selling travel trailer for ten years straight! These two honors, among many others, are a testament to Jayco's commitment to quality and staying true to Lloyd Bontrager's vision. Jayco RV has had many industry firsts throughout the years; from the lift system for popups, to the first lightweight line of travel trailers. This kind of forward thinking has moved the company to the top of the RV world. The strong faith and vision shared not only by Lloyd, but the entire management team and employees at Jayco, has allowed their business to prosper at times when many of their competitors failed. Jayco manufactures every type of RV which includes popups, hybrid travel trailers, conventional travel trailers, fifth wheels, and toy haulers. They have a large variety of floor plans and are available in ultra-light, lightweight, standard, and luxury models. These units are everywhere and enjoy a large amount of customer loyalty. 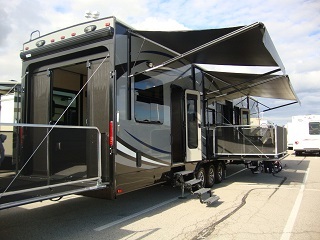 Jayco was the first RV manufacturer to offer a comprehensive two year warranty on all their units. They maintain their value and compared with other manufacturers, have fewer units on the used lot. Jayco builds quality RVs and goes the extra mile to correct any problems that might arise with their units. In my research, I have read many times where customers have praised Jayco for how they have handled issue and several have stated that they were treated as if they were one of the family. In my opinion, Jayco is one travel trailer that you really should explore. I think you will agree they are one classy unit.